The key point here is that the vast majority of Englishmen at the time were slaves in all but name, but since they were not chattel property, no one was bound by law or resale value to take reasonable care of them. Say what you like about the evils of slavery, as chattel property, slaves had a place and a value in society. In effect, the majority of “free” Englishmen at the time were an alien race with no place or value in society and no rights whatsoever. The small minority in control feared and hated them, to a much greater degree than modern White liberals despise hillbillies, and sought to expel them to distant colonies as a means of suppressing future rebellions. Of course, this is not the whole story, but it is an important part of it. The other part, in a nutshell, is the rise of egalitarian universalism beginning with the English Civil War of the 17th century. 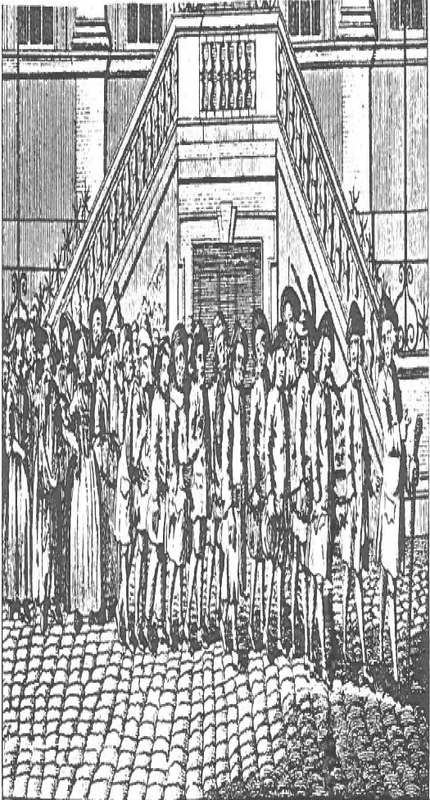 This revolution eventually resulted in the popular movement that resulted in the abolition of slavery in the 19th century motivated by moral idealism and embedded in various sects of Protestantism, as discussed in the Summer issue of TOQ (subscribe). This campaign against slavery, which occurred at a time when slavery was ubiquitous in all other culture areas (and remains common today in many countries), in turn has enabled an even more dangerous White pathology—the obsessive White guilt and pathological altruism that pervade the contemporary West and that are continually promoted by our hostile elite. Of the Europeans brought to America no fewer than 75% were indentured servants or convicts. Definitive characteristics of slaves are as follows: their labour or services are obtained through force; their physical beings are regarded as the property of another person, their owner; and they are entirely subject to their owner’s will. 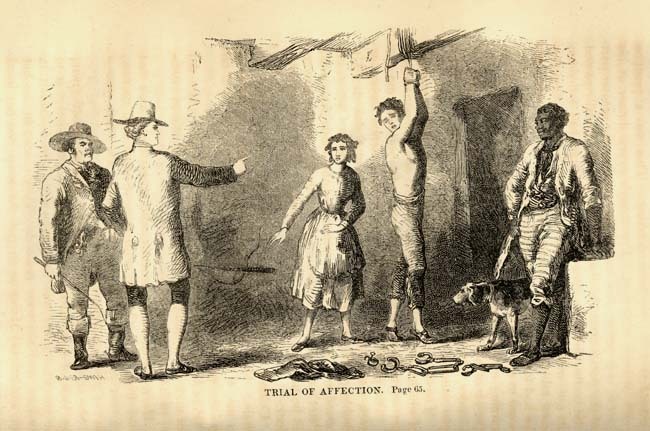 This article explores the little known history of White slavery in North America. What is meant by White slavery? The dictionary definition above shows it means forced labour, imposed by violence with the state acting to maintain legal status of the slave. Slavery in the west waxed and waned according to the demands and attitudes of the elites , the economic situation and the resistance of the populace. The opening up of the trade routes created the opportunity for enslavement of different groups, and the constant Islamic predations on the coasts of Europe (even as far away as Iceland) set an example that could be followed. 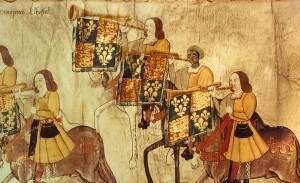 In Tudor England there were some Black slaves, who were later removed in Elizabethan times. During Elizabethan times the English were proud of their freedom as recorded in the Shakespearean plays. Such were the early Elizabethan times that, in England in the 1570’s Ralph Holinshead could boast. who would not be reformed of their roguishness or life shall be banished out of this realm and shall be conveyed into such parts beyond the seas. Sir John Popham was one of the first of the English elite to begin to see the possibility of transportation of unwanted Englishmen to America as a practical concern and sought a charter for his Plymouth Company to achieve those ends. This was aligned with desire for gold. As a result, between 1606 and 1607 ships were sent to America with cargoes of convicts and adventurers. 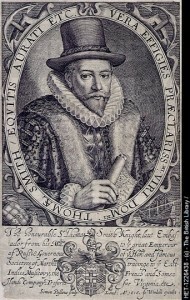 Sir Thomas Smythe the founder of White slavery in America and also of the East India company. However it did not stop with the enslavement of people who committed crimes. Being in the wrong place at the wrong time could result in being forced into servitude. As the opportunity for wealth increased, so did the rapaciousness of the elite, and as the demand for labour increased so the circle of enslavement started to include anyone whom they could lay their hands on. From these forces arose the classes that initially colonized America and the Caribbean. the kidnapped — people who were simply kidnapped, spirited away and used as slaves without even the pretence a trial or justice. The magistrates of the day were bribed to look the other way. 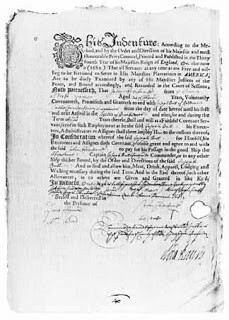 The term used for the people taken from the UK was ‘indentured servants’, described in many textbooks as people who paid for their transportation by agreeing to work for a certain period, usually 7–14 years. Today, when we talk of servants we think of domestic servants as having fairly menial but not uncomfortable jobs. The word ‘servant’ in the 16th and 17th centuries had other connotations. It mirrored the King James English from the Bible and it meant slave; people of the time would use the words interchangeably. In reality the Whites were slaves; they lost the right of movement, the right to marry, the right to work for themselves and all the other opportunities that we take for granted. Nevertheless, the law was weighted against the slaves. For instance, if a White woman was raped or seduced by the master, then additional fines and servitude was imposed — on the servant, not on the master! Any children born were kept as slaves until age 21 and could be sent away from the parents as the owners wanted. If the servant ran away, he or she could be dragged back and punished both physically and with extra servitude. The only real privilege you had as a White was that you couldn’t be owned by a Black or a Jew. From there grew the profitable (for the oligarchs) practice of sending forced labour to America. The swathe of people transported was in the end not limited to those who might be real criminals but, as noted above, anyone at the wrong time and place could be convicted of vagrancy and transported. As the demand for labour grew, it encompassed whole categories of “political” prisoners that the powers of the day wished to punish. Cromwell took Irish as slaves.9 The royalists enslaved Calvinists, and anyone on the wrong side of the royals could be sent as a “convict” to the Americas. In 1619 the first boat of about 20 Blacks were brought as slaves to America aboard the English/Dutch ship, the White Lion. Or more precisely, they were brought in as indentured servants as the legal framework for White and Black were exactly the same. No flood of Blacks followed because there were sufficient White slaves for the purposes needed. Racism may well have existed but the rush for profit dominated, and White and Black servants worked in the field and house together. So naturally Blacks and Whites were enslaved together, deserted together and were flogged together. At that stage the vilification of White female slaves meant that they were treated as whores and prostitutes; some fell into having relationships with Blacks. The authorities later started creating laws against miscegenation; they did not follow the policy of the Arabs by encouraging deliberate miscegenation between slaves (if they were privileged enough to survive) in order to produce a new people without history or identity—a slave class easy to control and manipulate (see White Gold by Giles Milton). Things started to change between White and Black in the 1640s and early 1650s. A wealthy plantation owner, Anthony Jonson, brought a case to court of a deserted Black slave to force him into lifelong slavery. From that period on, lifelong slavery for Blacks started to become the norm. It is interesting that Anthony Johnson was a Black slave who probably came as one of the original batch from Angola in 1619. Massachusetts, that liberal bastion was one of the first states to implement lifelong slavery. Nevertheless, the vast majority of indentured servants were brought to the Southern states because of the need for labor on staple crops of tobacco and cotton. Also at this time there were a number of serious White slave mutinies, such as that in the Caribbean in the 1640’s which made the elites begin to be aware that they needed potential allies. Since the service term of Whites was limited, they were often treated more harshly than Blacks whose status as a slave lasted for their entire lives. 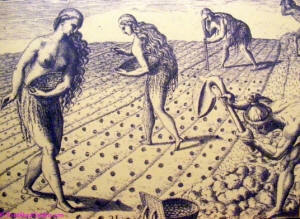 Since Whites were now of less value to slave owners, they were therefore given the more dangerous and difficult jobs. In practice, approximately 50% of Whites who were transported died in their servitude, so perhaps there was no great increase in White mortality. The segregation of White and Blacks only began after Bacon’s Rebellion of 1676 when White and Black combined to fight against the governor. The oligarchs then realized that they needed a policy of divide and rule to maintain their power. It did not mean however the end of servitude for Whites. Convict slaves were still being transported right up to the US Revolutionary War. Convict labour was a third the price of Black slaves and could be used in harsher environments than Black slaves. The percentage of convict versus indentured is not clearly discussed in the literature, partly because the gap between them was not that large. A convict would be considered to be indentured as part of his sentence. The reference to power and plenty at the beginning of the article effectively states only 25% of whites in the initial years went freely without any compulsion. Life, especially for convicts, could be short, brutish, and nasty. With death rates up to 50% , whether the sentence was 7 or 15 years mattered little. For many, it was effectively for life. However, as time progressed America became a more prosperous and safer place, and it became cheaper for independent travel from the UK and elsewhere in Europe. It became more common for immigrants to pay their own way and thus avoid a period of indentured servitude. These people moved freely and independently. Moreover, ultimately the descendants of the indentured servants could indeed become free. But it was only in 1865, with the Thirteenth Amendment to the United States Constitution, that slavery and involuntary servitude for Whites ended. Indenture form for six year old Evan Morgan dated 1823 in Delaware making him a “servant” for 14 years and 1 month. Who signed for him? The book White Cargo describes how the body of a White slave was thrown out with the trash. The attitude of British elites to poor Whites only slowly changed. Throughout the 18th century the poor lived a precarious existence. Australia became the new dumping ground of the unwanted. If one were unfortunate enough to end up in an 18th-century workhouse, there was 90% probability of dying. By the 19th century the situation was uncomfortable but survivable. 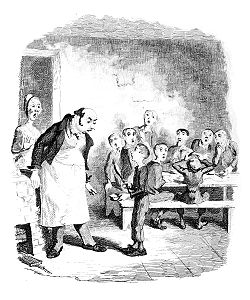 Charles Dickens didn’t realize how lucky he actually was. Many of the elite would weep over the cruelty to Negroes in America, but feel no pain about sending young chimney sweeps to death in a hot chimney, nor worry that such children were being bought and sold on the streets of London. Unfortunately, the tendency for the White oligarch to sympathise with the stranger over the neighbor still remains. A sad reality is that only when the oligarchs fear and respect the masses is there freedom and harmony, but when the elites distrust and dominate the rest, you tend to have oppression and inequality. Why and when was the slavery of Whites removed from people consciousness? It happened at a very early stage in American history. Even as convicts were landing during the Revolutionary War, Jefferson was minimizing the role they had played in the peopling of America. Every country needs its founding myths, and at that time the founding myth of America was rebellion to achieve liberty. As a result of the rise of the new elite in the media and academic world, Black slavery and the displacement of the Indians have become the original sin of America that can only be redeemed by the destruction and displacement of Whites. Many of the key facets of thought reform (isolation, guilt manipulation, conversion and confirmation; ) have been the applied relentlessly by the new elite to subjugate the minds of masses to create a new breed of compliant may I say… slaves. -English Privy council in early 1590’s, quoted in White Cargo, 30. The similarity between the US flag and the East India Company were so similar that when Americans began trading in China the Chinese believed that they were part of a British contingent trading under the East India company (Chinese Vistas, Jonathan Spence). Initially the Puritans and Quakers had no problem with white and black slavery and were often leading slavers. However, in the early 1700’s the attitudes of bothgroups began to change and this lead to a widespread abolitionist movement in the north. White Cargo, 147-149. They Were white and Slaves, 62-63. A good example of Black/White mutual rebellion is Bacon’s rebellion in 1676. White Cargo, 205-212 .Even as late as 1741 the slave rebellion was a joint effort of Blacks and poor, indentured [i.e., slave]) Whites; see Slave Insurrection of 1741. They Were White and Slaves, 83-89. Usually the indentured servant was also cheated out of any land after his period of indenture. .White Cargo 169-176. Also see this article on slavery in the north. David Hackett Fischer Albion’s Seed on early New England, p. 52.
 . White Cargo p 247-270. Thought reform/coercive persuasion techniques are common in the media. The general structure is as described with isolation, guilt manipulation, conversion and confirmation are a general structure used. Sometimes the wording changes (the selling homosexuality combines factors and calls it jamming, but the same concept applies. The group or person is isolated from family, friends, history. The problems that he or the group faces is attributed to them in an emotional (not logical way). When the group begins to accept the leaders thinking, then the subject is commended and the conversion confirmed. Although the wording is “religious” the approach was based on Pavlov’s work on conditioned reflexes and aims to operate at emotional and not logical levels. When people are returned to their original environment the effects of coercive persuasion usually wear off. The work of cults is to ensure the subject never wants to return to his previous situation. The work of the media is to never let up on the pressure on whites. https://www.theoccidentalobserver.net/wp-content/uploads/2018/06/TOO-Full-Logo-660x156-1.png 0 0 John Lilburne https://www.theoccidentalobserver.net/wp-content/uploads/2018/06/TOO-Full-Logo-660x156-1.png John Lilburne2013-10-22 13:51:302015-10-28 12:53:22America: the Land of the Free and the Brave or of the Oligarch and the White slave?